Japan-based Panasonic has been in the consumer technology and customer service industries since its founding in 1918. The company has long been associated with high-quality products, and is one of the leading manufacturers of home entertainment systems that encompass televisions, Blu-Ray and DVD players, surround sound systems, and more. Its devices are known for being among the longest-lasting and most reliable, and it was one of the key players in establishing Japan as a source of only the most durable products. Its high definition television sets exemplify the company’s embrace of quality manufacturing and leading-edge technology. 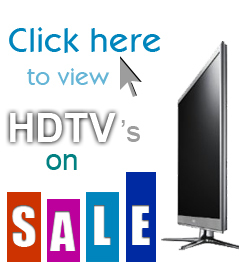 Searching for a specific Panasonic TV review? Panasonic has long been a leader in high definition television sets. The company actually maintains its own extensive research and development facilities, and has developed numerous technologies to ensure that its display panels are the highest-quality, and longest-lasting, among any of the major television manufacturers. It competes with the other big electronic bands not only on price and quality, but also on color depth, the richness of blacks and whites, and the aesthetic of its minimalist design and timeless style. Customers have always appreciated Panasonic’s high-quality products, and the company has won awards for customer satisfaction in a number of areas. All of this adds up to Panasonic being one of the strongest electronics manufacturers in the world — and indeed, its television sets are one of the most common sights in living rooms from Tokyo to Tucson. Quality has simply never been an issue with Panasonic — or, more specifically, bad quality has never been an issue for the company. While lower-priced and generic brands often cut corners (and prices) by using low-grade materials in their construction, Panasonic boldly and proudly uses expensive plastic and high-grade aluminum that is designed to withstand rough conditions and the wear and tear that decades of use will put on a typical television set. As mentioned above, Panasonic hosts its own extensive research and development labs where company technicians are busy developing the latest display technologies for the LCD panels that power most Panasonic HDTVs. This leads not only to higher quality, but to brighter pictures and longer-lasting display panels that outshine even the nearest major manufacturer. Panasonic’s vast research efforts are what sets it apart from the competition, and they’ve always enabled the company to easily take advantage of new markets and new ways of controlling and improving product quality. An HDTV sold by Panasonic is, by no means, the cheapest model on the market. It’s also not the most expensive. The company is proud of its quality and its commitment to research, but they also understand that a product is only good if it can be sold to a wide swath of the consumer market. For this reason, Panasonic TVs run just slightly above the industry average for their respective screen sizes; that means even consumers on a tight budget may be able to afford a television set that is among the “big names” in home entertainment. The company gets very high marks for making legendary quality available to all consumers. Regarding value, Panasonic is well-positioned. The company’s sets are moderately priced, tending toward the high end, but the durable materials used in construction allow the set to have increased longevity. When combined with the companies self-manufactured display panels, which are often the highest-rated in any television, it’s easy to see why a Panasonic HDTV has virtually the highest value of any television set, regardless of its initial sticker price. Every HDTV sold by Panasonic comes with warranty protection against manufacturing defects and technical glitches that may arise with the set during its first months of use. Customers can opt to augment this coverage with an extended warranty that will see their set covered for several additional years after the initial warranty coverage has worn off. Many buyers consider this to be standard procedure, but a staggering number of manufactures — mostly low-price competitors — offer far less generous warranties with no option of extending even minimal coverage after the initial coverage period. Customers have access to the company via a toll-free number, as well as a robust support section on Panasonic.com and social media tools that help customers interact with company representatives and technicians. It’s a great way to make the company both accessible and personable, and Panasonic gets high marks for its customer satisfaction efforts. Panasonic continues to be a world leader in technological innovate, commitment to device quality, and customer satisfaction. For the initial sticker price of an HDTV manufactured by the company, customers get a set that is virtually guaranteed to last for a long time, and they get access to a robust set of customer service tools and options that only add value to their new television purchase.